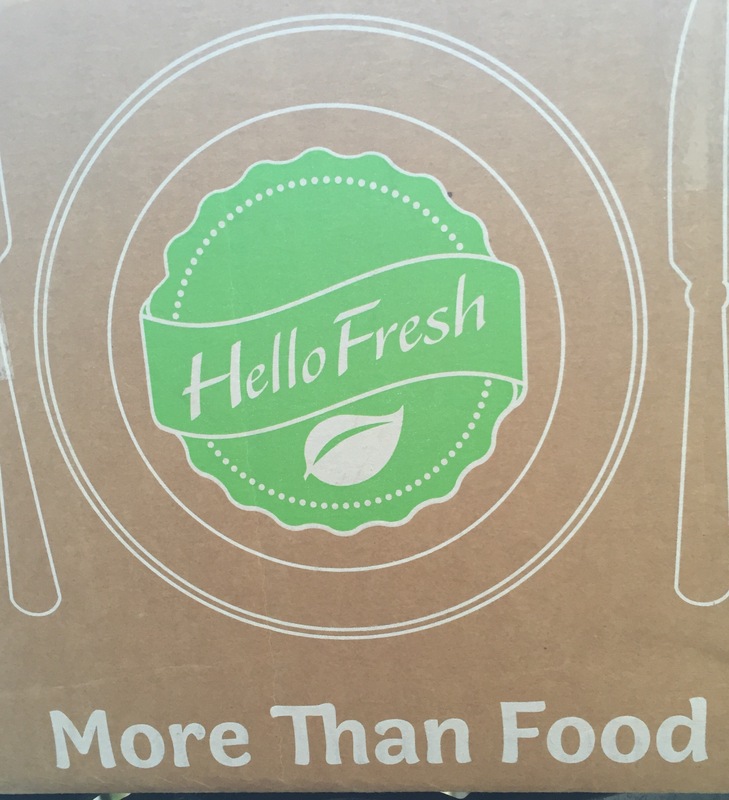 Hello Fresh: Easy Weeknight Meals Delivered! 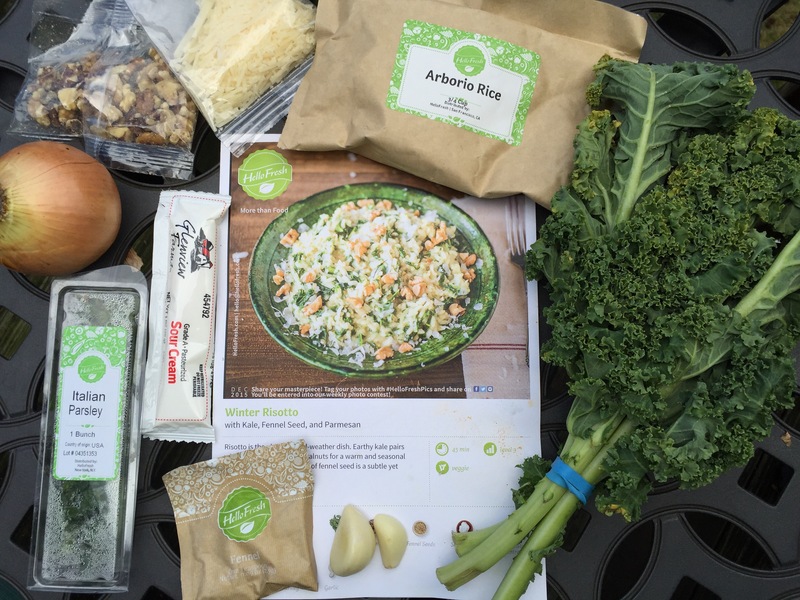 Winter Risotto: Fresh leafy kale, Arborio rice, fennel seed, walnuts and parmesan – starving yet?! 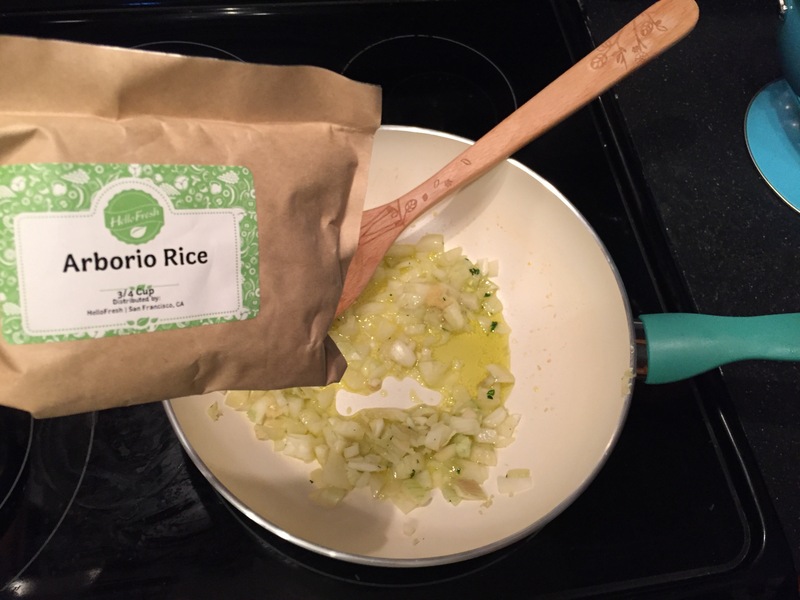 Everyone thinks risotto is hard to make. Not at all! You just can’t walk away from it while it’s cooking. The key is slow and with patience, like most cooking projects. 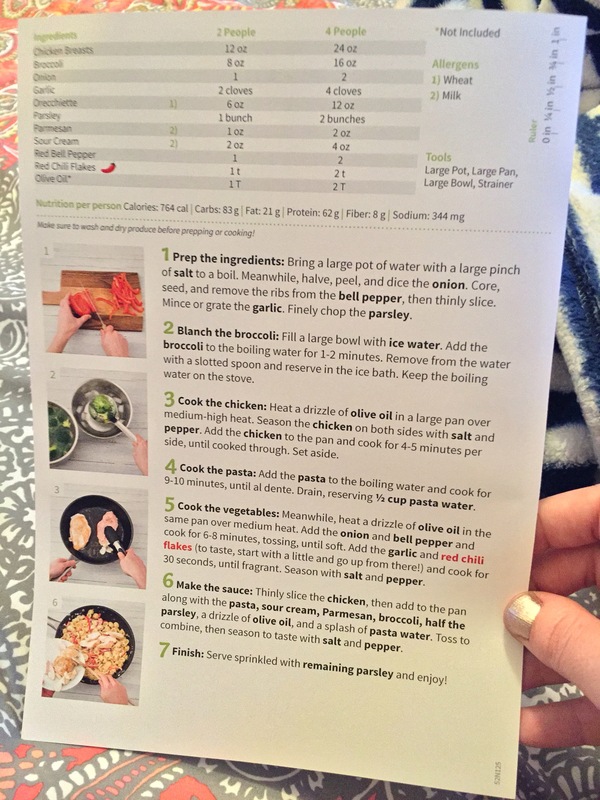 Their directions were straightforward and fool proof for even a beginner cook. 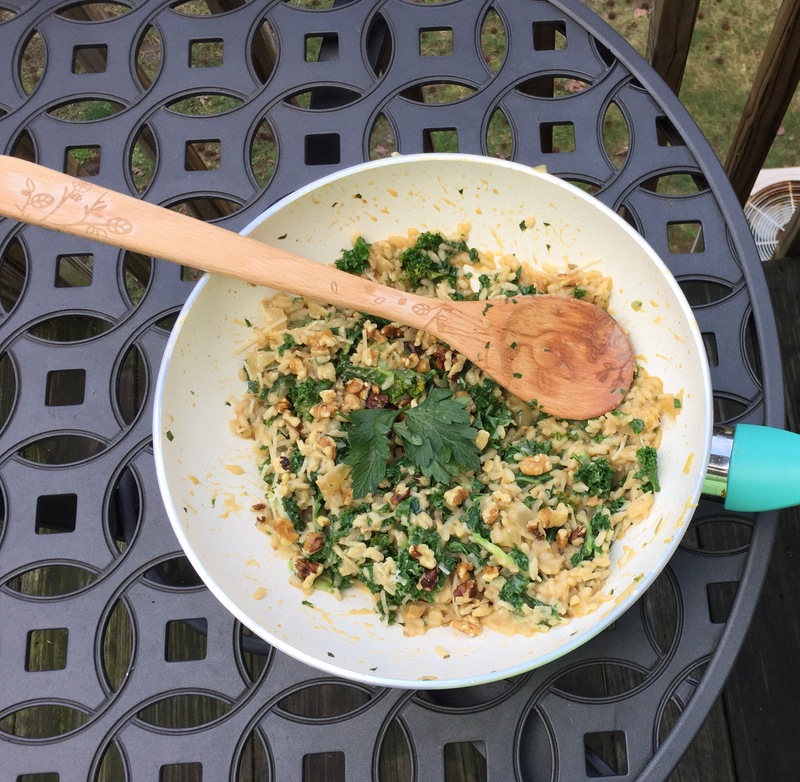 I ate two huge bowls of it and had to pace myself from devouring more! I enjoyed that it was all vegetables, it’s nice to have a break from meat once a week. 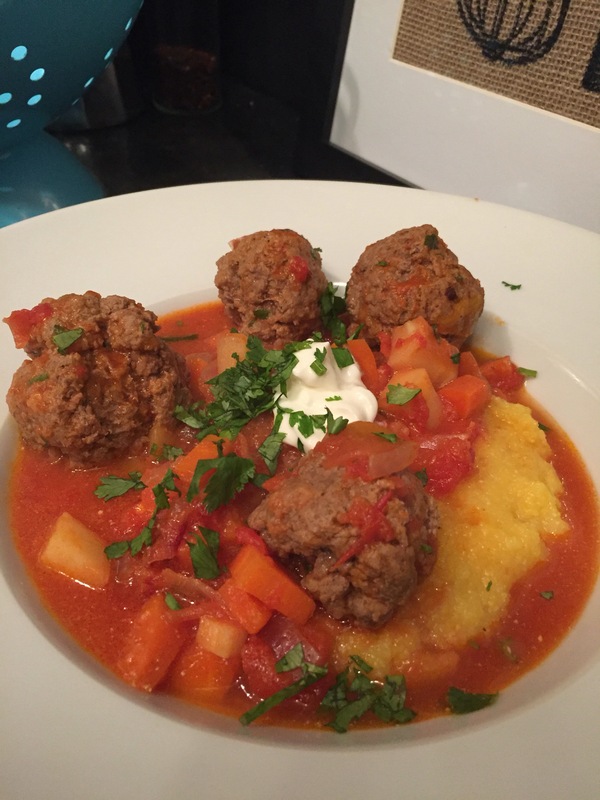 Turkish Meatballs: This was the first meal I cooked. Total game changer! I’ve never used Turkish Spice before. My spice rack is filled to the brim so I like that I had the opportunity to try a new flavor without buying another huge jar that will take up more space. 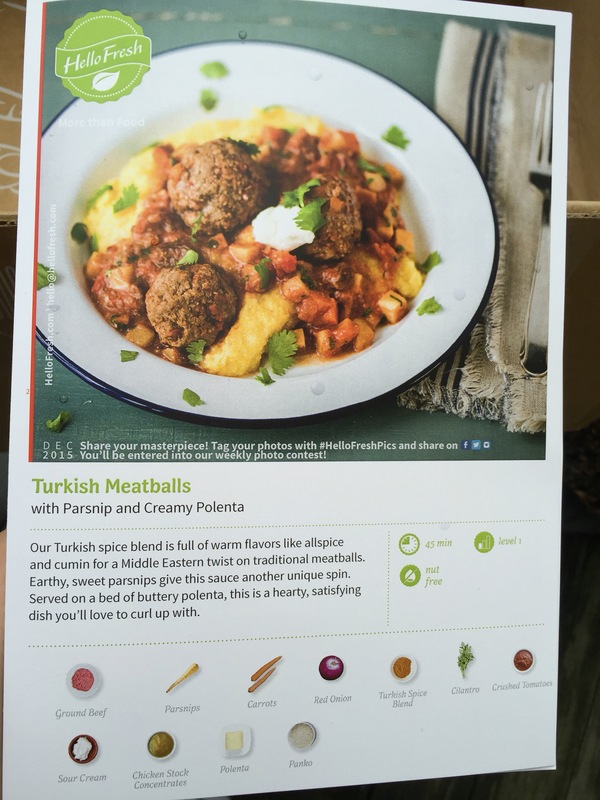 This inspired me to research the essence of “Turkish Spice” – salt, garlic, cumin, Tellicherry black pepper, Turkish oregano, sweet paprika, sumac, cayenne red pepper and cilantro! Delish. The meatballs were tender from braising them in the sauce and loaded with flavor. 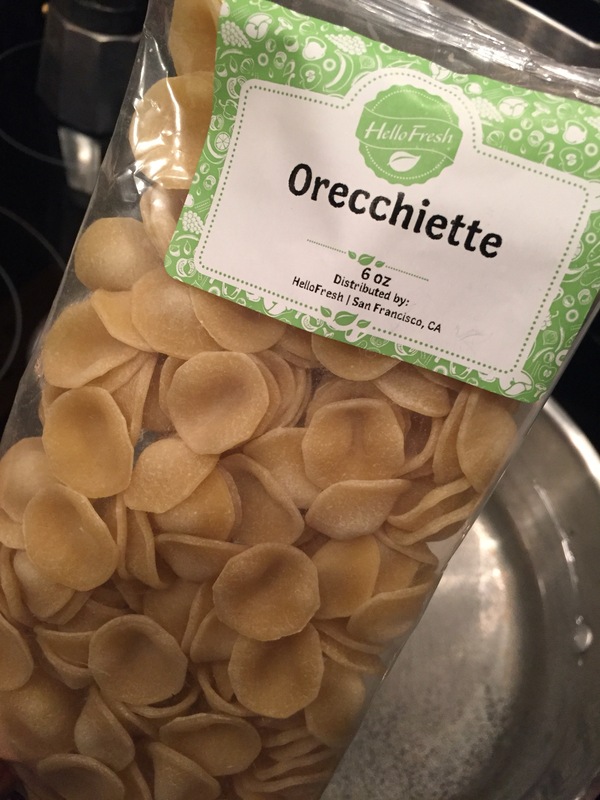 Orecchiette with Chicken: Orecchiette AKA “tiny ears” are my favorite type of pasta, I always keep it as a pantry essential. 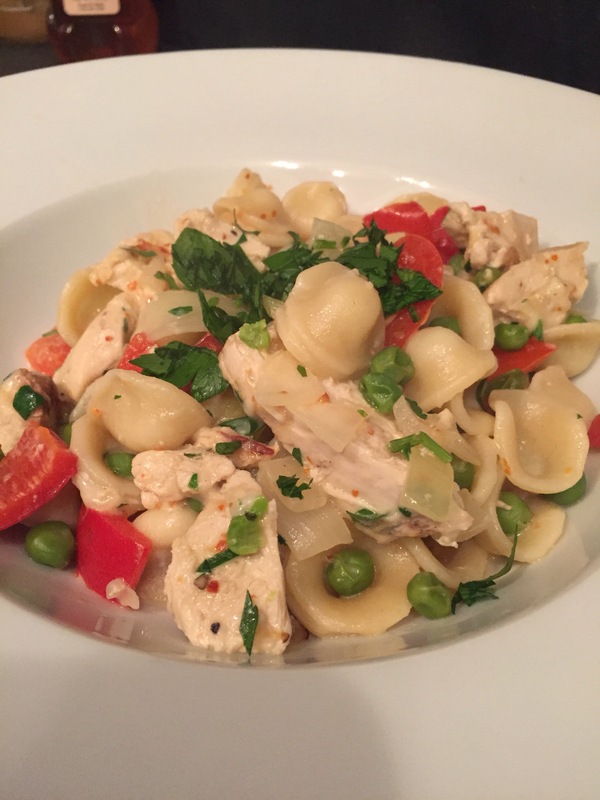 Typically, I pair it with ricotta, parm and broccoli rabe or spicy sausage, bocconcini and cherry tomatoes. Surprisingly, this is the first time I’ve tried incorporating it into a chicken dish. 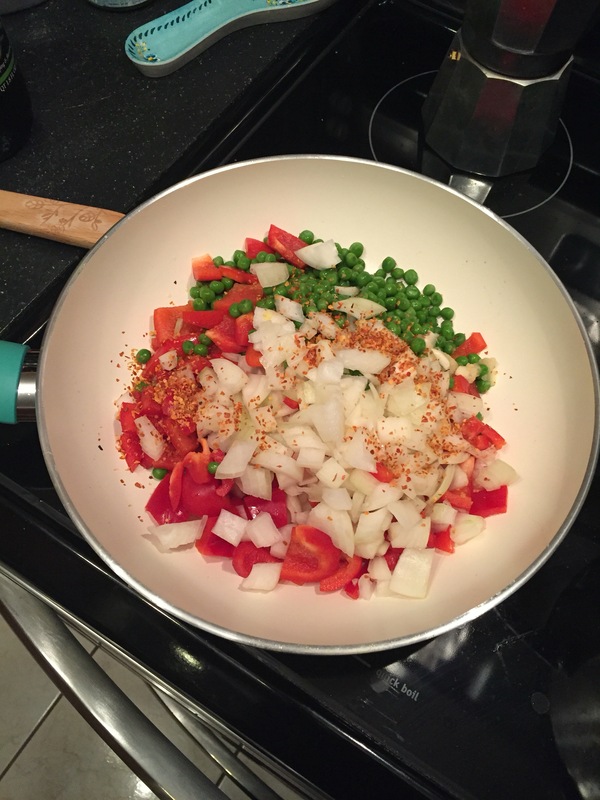 I actually like that it included peas vs broccoli and it reminded me of a primavera. The red chili flakes added just the right amount of spice. I even had enough left over for lunch the next day. I’m going online tomorrow to order and I think I’ll start to do this every week from now on. 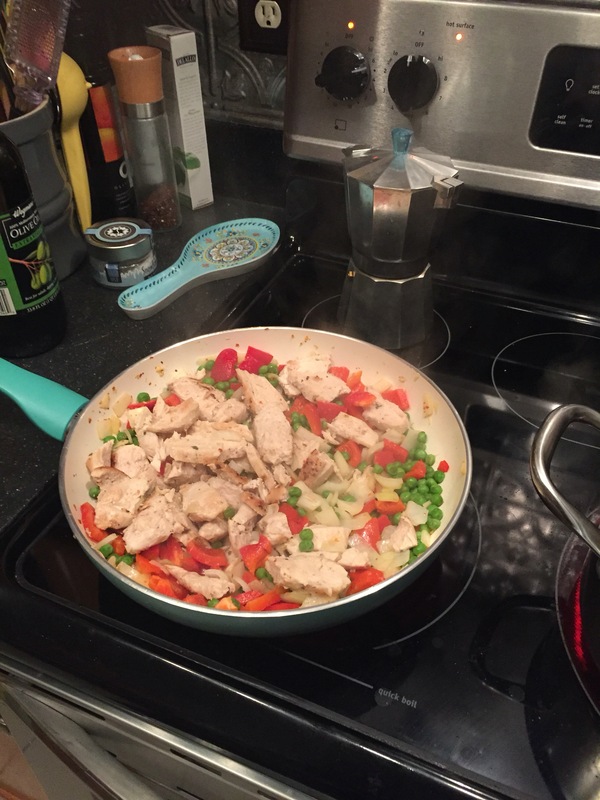 Meal planning takes up so much time and the prep/organization is a big pain point for me during the week. 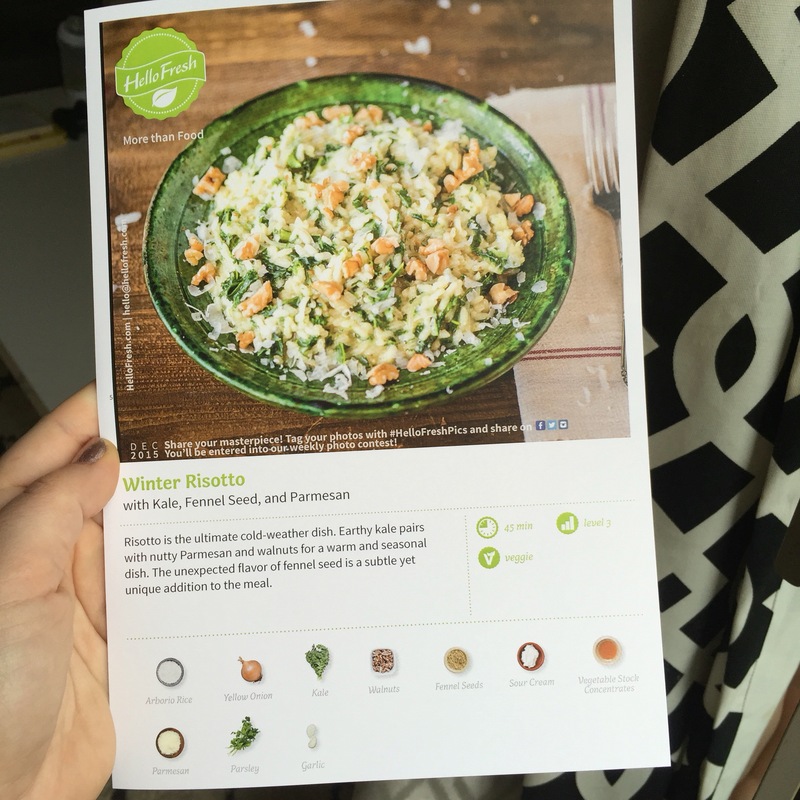 I’m also attempting to lose weight and need to control my portion sizes better (no more big bowls of pasta suited for a family of six). This is a timesaver and contributes to healthy lifestyle changes. I usually spend $160/week on food (OK, sometimes more) at various places – I really am the worst food shopped because I love food so much. At $80/week this will save me tons of money! I’m so excited and I feel like this will make cooking during weeknights stress free! 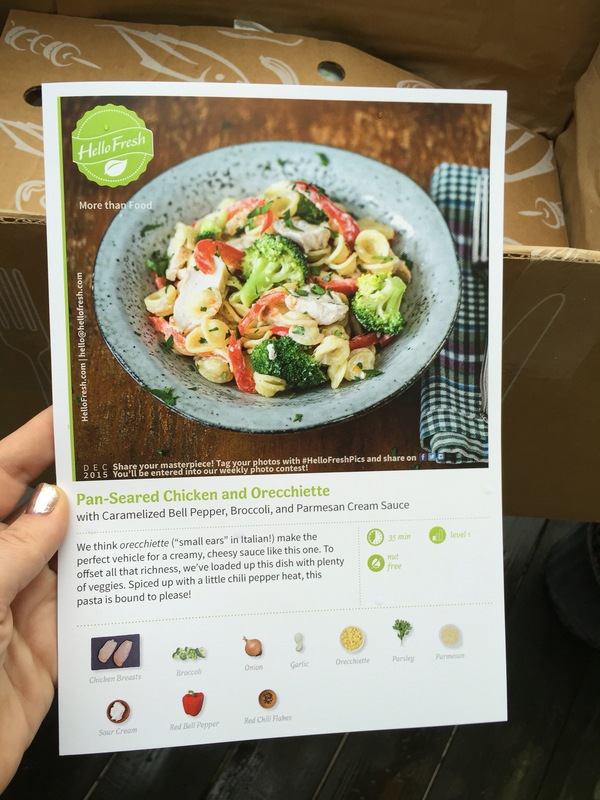 Sign up now on Hello Fresh and they also have an app as well! Previous Last Minute Christmas/Holiday Season Gifts!!!! Next Deva Curl Review – controlling curly, frizzy hair!